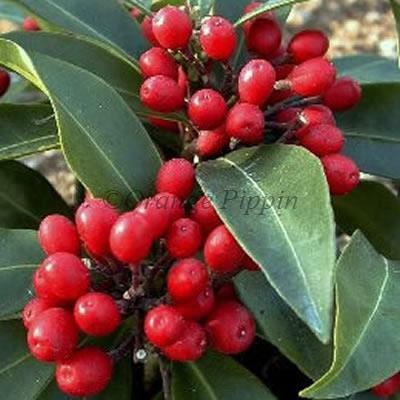 Skimmia reevesiana is a compact, low spreading evergreen shrub with narrow green leaves that often have a pale margin. This popular shrub will produce clusters of creamy-white, scented flowers during the spring which are followed by long lasting, dark red berries. It does not require a male to be planted near by, as it is self-fertile.